In this new episode, Susan and Kitty have untangled the web of one of the most amazing, spectacular, sensational Marvel heroes to ever swing across the page. With great podcasting comes great responsibility- It’s Spider-Man Then & Now! With great power comes great responsibility, and no one knows that better than Peter Parker. From humble beginnings as an awkward, nervous teen to becoming a legendary symbol of heroism, Spider-Man has woven a complex web across comics, inspiring all new generations of readers and Spider-heroes. 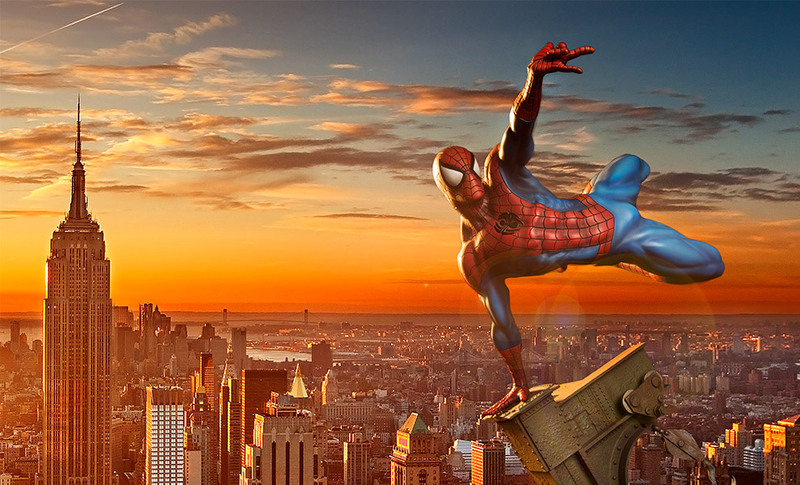 In many ways, Peter Parker is the perennial teenage hero of the Marvel Universe. Though he has matured and aged as his comics journey has progressed, his teenage origins and lovable, awkward personality have endured through deaths, heartbreaks, marriage, clones, and even becoming a CEO of his own company. Whether they are a fan of Spider-Man or not, nearly everyone recognizes the famous phrase, “With great power…” We don’t even have to finish it for you, because you already know how it goes! This origin has been homaged, honored, and even parodied in countless movies, comics, and other works of media. Peter Parker’s hardest lesson has even been the inspiration for numerous Spider-heroes following in his footsteps, like Miles Morales, Ben Reilly, and Spider-Gwen. Marvel has collected many of these adventures into crossover series like Spider-Verse, Spidergeddon, and Web Warriors. With the recent release of the Spider-Man PS4 game, fans have an exciting chance to take the reins themselves and learn how to use that great power for themselves. From wall-crawling and web-slinging to taking down Doc Ock, the Rhino, and more, this exciting game has taken the world by storm by bringing your friendly neighborhood Spider-Man even closer to home. Have a favorite Spider-Man symbol from across the years? Take our poll and let us know your thoughts!